Part of the reason is that there are so many different implementations of open source software, many of them backed by different entities with different agendas. Having many minds contribute to an open source project can be a good thing – until it comes time to make a decision about something and stick with it, so you can get a working product out the door. Enterprises need practical implementations that they can count on day in and day out to get a job done. Open source essentially comes in different shades that are not all created equal. Understanding them will help you determine whether the open source implementation you have in mind has the kind of reliability and stability you need in any enterprise IT tool or application. At a base level is the “pure” open source community, where like-minded people contribute their time and knowledge to a project. Most projects have a project lead and a core team of developers but take contributions from anyone in the community. Users of the code can also make changes to the source code as they see fit. This is encouraged, in fact, as a way to improve the code. But it’s expected that any revised code be made available to the wider open source community for their use. It’s not hard to imagine, then, that variants of any given piece of code will soon turn up all over. Some of them may be vetted and tested well by the community; others less so. This is the type of open source software enterprises have every right to be skittish about. In other instances, a single entity takes control of the open source code. Google, for example, is a major open source proponent and has some 2,000 projects it has released or contributed to. Ditto Facebook, which was the original driver behind the Open Compute Project. Having a single entity essentially control the fate of the open source project is a twist on “pure” open source. It may remove some of the community feel to the project but brings a welcome level of stability while falling short of being a fully commercialized product. 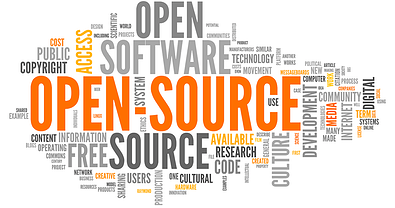 It’s not just giants like Google and Facebook that take on open source projects, however. It’s not unusual for other, smaller companies to take on a more focused project in hopes of turning open source code into a product intended for enterprise use. In 2011, for example, Pica8 acquired the copyright to the XORP code base, an open source routing platform. Since then, we’ve been maintaining and extending it, turning it into an integral component of an open, standards-based network operating system (NOS) that runs on a wide range of “bright box” or “white box” switches, The result is PICOS, an enterprise-grade NOS which is based on a Linux kernel, with a Debian Linux distribution, and XORPPlus switching and routing stack, that has been deployed in diverse environments, from enterprise access to data center infrastructure. So, it’s essentially an open source Linux NOS but under the auspices of a single company, Pica8, that can ensure its performance and stability, and drive its future development roadmap. Pica8 also made white box networking possible when we introduced the world’s first Linux-based NOS (PICOS) on a white box switch way back at the start of 2012. With white box networking, customers are now free to choose whatever hardware platform they want, typically ONIE compatible switches, and run whatever NOS they choose on top. This is a dramatic departure from the traditional switch/router vendors who build switches using the same ASIC as the white box switches but put their own proprietary NOS on top and proceed to charge a hefty premium. With white box networking, you are never locked in to a single vendor’s platform, whether hardware or software. In fact, you may take the same basic hardware and run one NOS on top for your data center network and another NOS for your enterprise campus network. In addition, since it is Linux-based, you can customize your NOS by installing third party packages, for example tools for embedded automation or network-wide automation.